We are producers of templates and extensions for Joomla!, a popular GPL-licensed content management system (CMS) that we love and recommend to everyone! We design and develop Joomla templates and supporting software to make our clients' websites look and work better than ever before. Also, we write about Joomla to help our clients to learn the secrets of Joomla platform. Our vision is to deliver only the high quality software that improve websites and businesses. HotThemes team started working with Joomla (formerly known as Mambo) many years ago (2004). We were using Joomla all these years to create websites for our clients and to design and develop software for our customers. On the earlier years of our working with Joomla, HotThemes team was the best ranked freelance team at the MamboLance marketplace (this service doesn't exist anymore) and one of the best at the JoomLancers marketplace. We have designed and developed about 400 websites for our clients during 2004-2009. Most of them have been built with Joomla CMS. We are working as full-time web designers and we live from web design. We are using only GNU/GPL licensed content management systems (such as Joomla) as a framework for our projects. After so many years, these systems reached the top of popularity. We believe we made the right choice! Our team is connected with many web design studios throughout the world. Honestly, we are very proud of this! Many of these studios hired us to develop websites for their clients. We used this opportunity to convince many people that Joomla content management system is the best solution for their needs. Joomla evangelism is something that we always had on mind. Success of Joomla is our own success! We will mention some of the guys who are involved in making of our Joomla templates and Joomla extensions, development of Sparky Framework and technical support for our products. 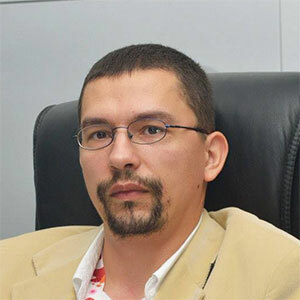 Milos entered into the web design world by starting the architecture portal Arhitektura in 2000. Four years later, he found Joomla and decided to use it for his own site. Then he started to receive many job proposals for new Joomla projects. Therefore, he became a full-time web designer. After over many Joomla websites developed, in 2009, he started a new website specialized for design and development of Joomla templates. Milos is mSC of Architecture Engineering. Beside design skills, he's experienced in HTML/CSS. Some of our most popular templates are based on Alan's designs. He is a very experienced designer and expert for Adobe tools. Alan also has very good knowledge of Joomla. Therefore, his designs are optimized for development of Joomla templates from the start. He understands Joomla's power, as well as Joomla limits. 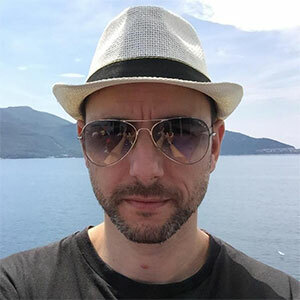 Bratislav has over 10 years of experience in print and web design. He switched from print design to web design several years ago. His expert skills in Adobe Photoshop and InDesign allows him to release ideas quickly and efficiently. 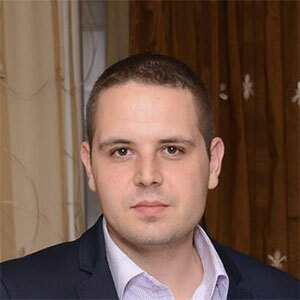 Bratislav is a member of HotThemes team from its beginning. Templates and web elements created by this designer got very positive impact between our customers. 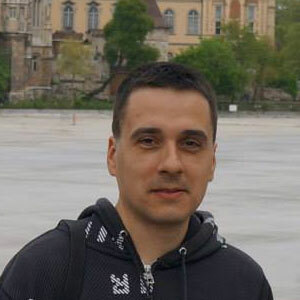 Nikola is a professional coder and he is responsible for bug testing and improvements of our software. If you got into trouble with installation or adjustments of our templates and extensions, Nikola will be there to help with precise and fast answers. The countless number of freelancers from all parts of the world are also engaged in various phases of HotThemes' products development. We are always looking forward to extend our team, so, if you feel that you have skills that may improve our products, don't hesitate to contact us! We are extending our team. If you are interested to work for us, please submit the Job Application.